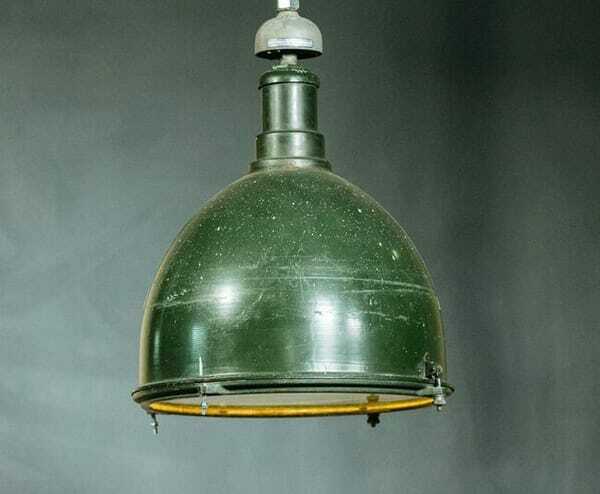 Green deep bowl industrial shade made of tough-as-nails porcelain enamel-coated steel. 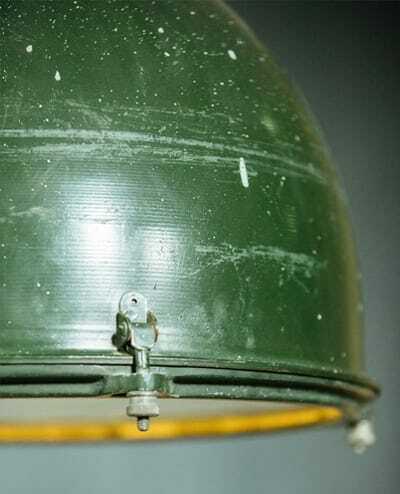 Lights like these were an essential in warehouses and factories throughout the ’30s and ’40s. 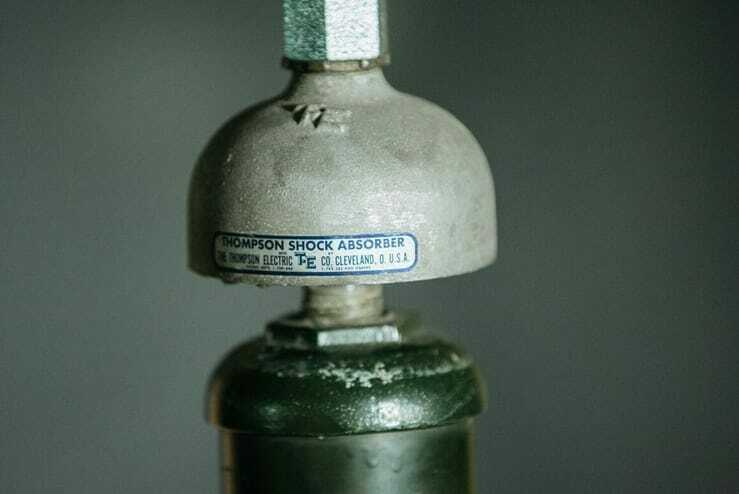 Manufactured by the Thompson Electric Company in Cleveland, O.H.